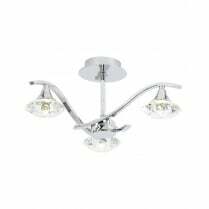 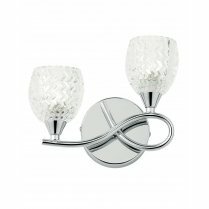 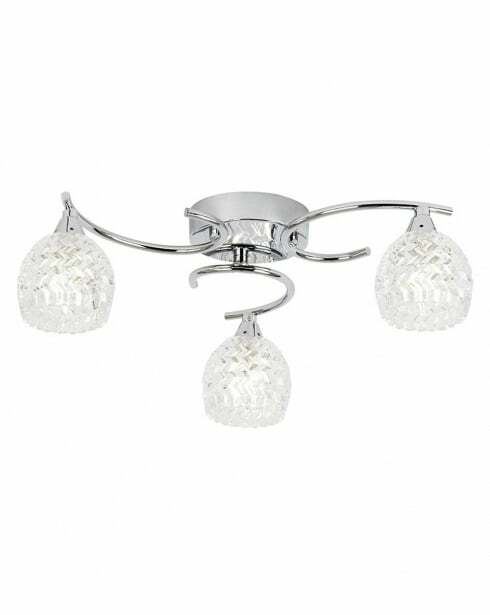 The elegant Boyer 3 Light Semi-flush Fitting from Endon features chunky clear cut crystal glass shades with beautifully curved polished chrome arms that fan out from a chrome ceiling plate. 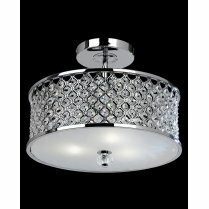 A bright and clear sparkling light will diffuse into your room from each of the 33W lights. 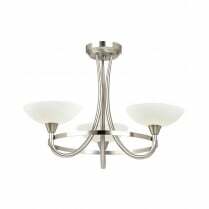 Ideal for use in rooms with a lower ceiling height. 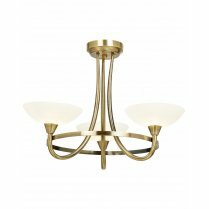 Matching items include: 5 Light Semi Flush Fittings, 2 Light Wall Fittings, Table Lamps, and 3 Light Floor Lamps in Antique Brass or Chrome. 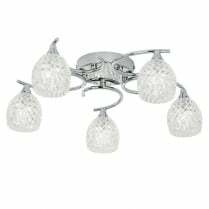 Requires 3 x 33W G9 bulbs and suitable for use with low energy G9 LED's.